Young South Africans were urged to engage with and take ownership of the country’s National Development Plan (NDP) at a youth dialogue session hosted by Brand South Africa in Durban on Monday evening. 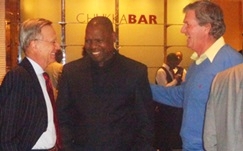 “The NDP is about the future and the youth, so our young people must look at the document and find out how they can make it work and how it can actually enhance their opportunities in skills development, in training, in improving the quality of life for all,” KwaZulu-Natal Premier Zweli Mkhize told the large gathering at Durban’s Hilton Hotel. The NDP is a policy blueprint for eliminating poverty and reducing inequality in South Africa by 2030. Among other things, it identifies the key constraints to faster growth and presents a roadmap to a more inclusive economy that will address the country’s socio-economic imbalances. Monday’s event was one of a number set to take place around the country to encourage young South Africans to help define and carry out the plan. The key message all speakers were keen to get out is that for the NDP to work, buy-in from all citizens is required. “We should all take responsibility and play our part,” Khulekani Mathe, the acting director-general of the National Planning Commission, told SouthAfrica.info on the sidelines of the event. Leading the way for the youth was the evening’s MC, Lynette Ntuli, the head of the World Economic Forum’s Global Shaper Durban Hub. WEF Global Shaper, Ntuli explained, is about the youth playing a part in the direction the world is taking. The youth are tomorrow’s leaders, thus plans for 2030, could be discussed without the youth, she said. With Monday’s session falling on 24 June, the opening day of Wimbledon 2013, it was something of a surprise to see former Wimbledon runner-up Kevin Curren in attendance. 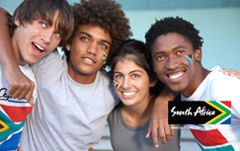 Curren is involved with Brand South Africa, helping to create exposure for the brand on different platforms in South Africa and Africa, including through Ignite South Africa, which aims to bring young people together to help build South Africa’s future. Brand South Africa’s Leo Makgamathe said he was thrilled with Monday’s turnout and active response from the young people of KwaZulu-Natal. Further NDP Youth Dialogue Sessions are planned for Johannesburg on 26 June, for the UCT Graduate School of Business in September, along with other events in Limpopo, the Free State and the Northern Cape.